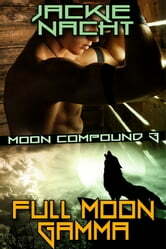 Rayce is sent on a recon mission to find out if hellhounds are in Lansing. What he discovers on his way is his mate, Peyton, has followed him into the very heart of danger. Peyton has loved Rayce from the moment Rayce saved him. He knows he probably shouldn’t be following Rayce, but the instinct driving him to protect the man he has already fallen for causes him to go recklessly into the city. All is not as it seems, and Peyton will have to find strength to survive for not only himself but his mate and friends as well. This may be read as a standalone book however for better reading enjoyment, it is adviced to read the series in order. Thank you.